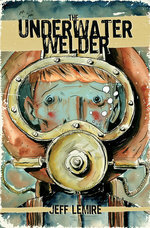 THE UNDERWATER WELDER is the mind–bending graphic novel written by critically acclaimed, award–winning cartoonist Jeff Lemire, and published by Top Shelf/IDW. Ryan Gosling, Ken Kao, and Anonymous Content will produce the film. 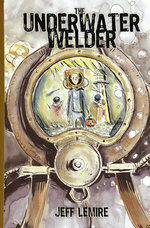 The New York Times bestselling graphic novel details a man in the dangerous profession of underwater welding, who has a supernatural encounter at the bottom of the sea. 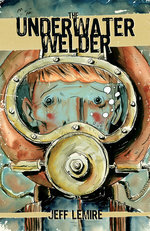 Jeff Lemire, Chris Staros (Editor–in–Chief, Top Shelf), and Ted Adams (CEO and Publisher, IDW Publishing) are attached as executive producers. The deal was brokered on Jeff Lemire's behalf by Angela Cheng Caplan of the Cheng Caplan Company, Inc. and Allison Binder, esq. of Stone, Genow, Smelkinson, Binder & Christopher, LLP, and on Top Shelf/IDW’s behalf by Tuvyah Aronoff of Schwell Wimpfheimer & Associates. IDW Media Holdings, Inc. (OTCQX: IDWM) is a fully integrated media company, which includes publishing, games, entertainment, and the San Diego Comic Art Gallery. IDW Entertainment serves as the worldwide distributor of Wynonna Earp airing on the Syfy Channel in the U.S. and is producing BBC America’s Dirk Gently, based on the best-seller by Douglas Adams starring Elijah Wood and Sam Barnett. Waypoint Entertainment is a film and television development, production, and finance company with a slate that includes: Scott Cooper’s Hostiles starring Christian Bale and Rosamund Pike; Martin Zandvliet’s The Outsider starring Jared Leto; Shane Black’s detective thriller The Nice Guys starring Russell Crowe and Ryan Gosling; Woody Harrelson’s Lost in London starring Harrelson, Owen Wilson, and Willie Nelson; and Terrence Malick's Song to Song starring Ryan Gosling Michael Fassbender, Natalie Portman, Cate Blanchett, and Rooney Mara. Founded in 1999 by Managing Partner Steve Golin, Anonymous Content is a leading management and Film, TV and Commercial production company. Anonymous Content’s clients have been recognized with Academy Awards®, Emmys®, Golden Globes®, Tony Awards®, Pulitzer Prizes® and other prestigious awards. The company’s award-winning Film & TV division boasts many commercially successful and critically-acclaimed works, including BABEL, WINTER’S BONE, BEING JOHN MALKOVICH, ETERNAL SUNSHINE OF THE SPOTLESS MIND, 50 FIRST DATES, , THE REVENANT and Best Picture Academy Award winning SPOTLIGHT. The company’s TV slate includes “True Detective” (HBO), “The Knick” (Cinemax), “Mr. Robot” (USA Network), “and “Berlin Station” (EPIX), as well as upcoming titles “13 Reasons Why” (Netflix), “The Alienist” (TNT), and “Maniac” (Netflix). Through its Commercial work, Anonymous Content is also the driving creative force behind countless top brands, including Prada, Nike and Coke. In 2016, Anonymous Content received a substantial minority investment from Emerson Collective, the organization founded and run by Laurene Powell Jobs, to allow the firm to expand its production offerings in socially-relevant content aimed at inspiring change.